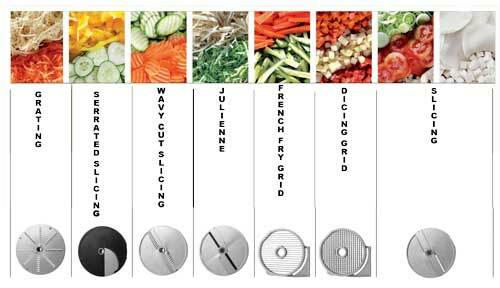 Chops, slices, dices, cubes, shreds and grates vegetables up to 500 lbs. 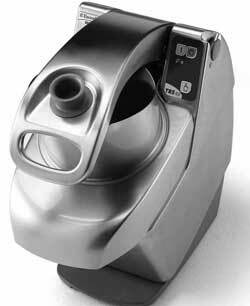 per hour.The large hopper is designed for high volume slicing and dicing requirements. Stainless steel. Includes 2 blades - 5/32" Grating Blade and 1/8" Slicing Blade. Not all blades listed. Please call for additional blade information.